This home has everything you have been looking for! Located in the desirable community of Kelly Park Hills subdivision, No pesky HOA, minutes away from the 429, Restaurants, Shopping & Northwest Recreation Complex. This facility is over 180 acres with walking trails, flag football, lacrosse, basketball, volleyball, tennis, baseball, soccer & more. 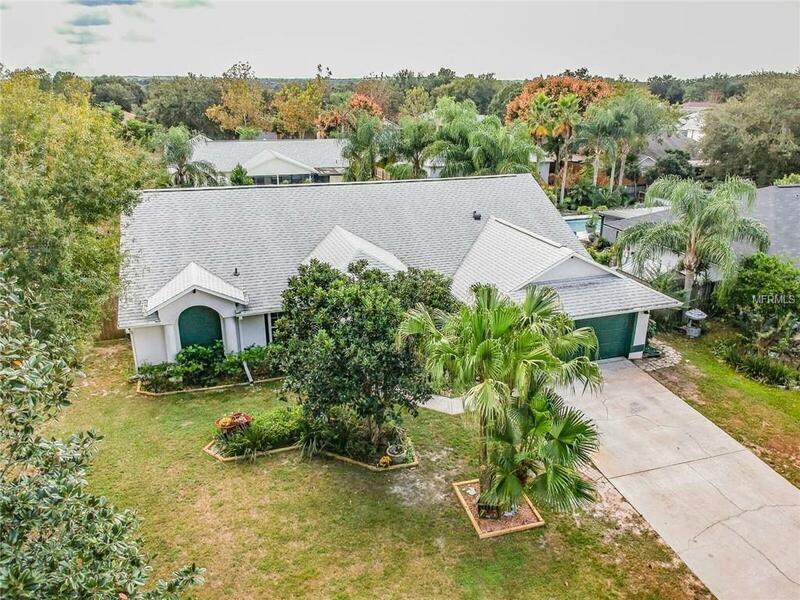 Come see this beautiful 4 bedroom 2 bath pool home, freshly painted inside and out. The pool was installed in Feb. 2011, wood floors installed in Living room, Dining room and Family room, a new salt water pool chlorination system as of Feb 2018, & a new pool pump in Aug. 2018. It is located on a nice quarter acre lot with new privacy fence installed only 4 years ago. New architectural shingle roof & gutters were installed in Jan. 2015, a new 5 ton AC unit installed in 2010, and new Double Pane, Low E windows installed in 2009 with a transferable lifetime warranty. Also has a new quiet garage door open that you can link to your phone, a Security system with exterior camera's for added security. Both bathrooms have been remodeled & the Master bath features a large garden tub & frameless glass shower enclosure. All the big maintenance items & upgrades have already been completed for you. Just come home and enjoy the tropical setting surrounding of the beautiful pool, fire pit & inground landscape lighting. Even the septic tank has been pumped out in July 2018 & it has a large shed for extra storage space for your lawn and pool equipment. Come see it today!